Diamonds are valued for their incredible brilliance and hardness. Diamonds are chemically pure carbon, identical to the graphite used for pencils. Diamonds' hardness is the result of extremely strong chemical bonds between the carbon atoms. Most people think of diamonds as being colorless, but they actually occur in every color. Colors like canary yellow, green, pink, blue, purple and rare reds are termed "fancy" colors. Several colors can be artificially produced by treatment with combinations of irradiation and heat. Diamonds are extremely stable under normal conditions. Diamonds were treasured as talismans as early as 800 B.C. For more than 2, 500 years India was the only know diamond supplier. During the First Century A.D., it was the height of stature for prominent Romans to wear uncut diamonds, mounted in gold rings. These diamond talisman were awarded to a fortunate few by the emperor. In the 13th century, Louis IX of France, proclaimed an order forbidding all women, including queens, to wear diamonds! He insisted that diamonds were only for Kings. This law was challenged 200 years later by the mistress of Charles VII, who is considered responsible for making diamonds popular to all members of the French court. 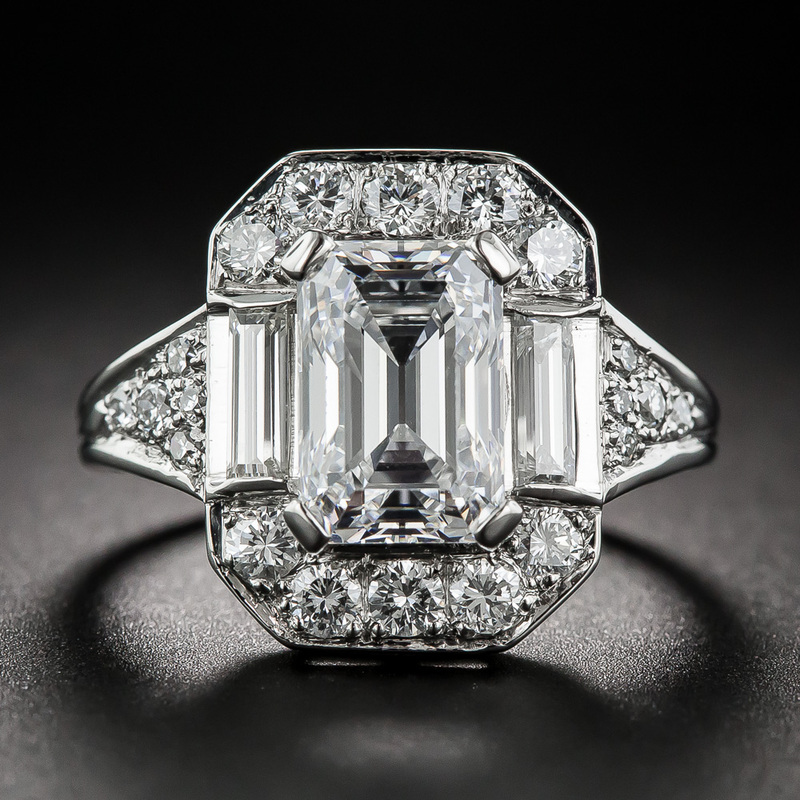 The first diamond engagement ring was given to Mary of Burgundy by Maximilian in 1477. For centuries it was believed that diamonds had gender. Francois Ruet, in 1566, described two diamonds as having offspring. Diamond production in India began to taper off in the 1700's. In 1725, diamonds were discovered in Brazil, making it the world's largest supplier. That changed in 1866 when diamonds were discovered in South Africa. In 1888, DeBeer's Consolidated Mines, Ltd was formed and more than 100 years later they are still boast control over 80% of the diamond trade in the world. Diamond is the birthstone for April and commemorates the 10th and 60th Anniversary. As a talisman, the most powerful diamonds were thought to be naturally occurring octahedrons of exceptional clarity that exhibited fire. These diamonds would bring the owner wealth, power, good fortune and everlasting youth. It was believed that flawed or inclusive stones could have quite the opposite effect. Diamond is a stone that bonds relationships and enhances love. It is considered to be a master healer. Diamonds foster longevity, particularly with regards to relationships. Diamonds can increase balance, clarity, stability and abundance. It is the stone of the crown chakra.